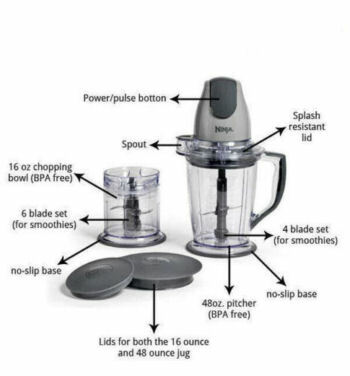 Ninja Master Prep Blender QB900 With Free Shipping! 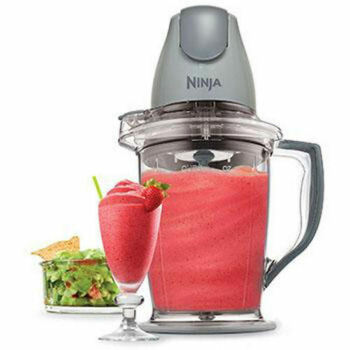 With the Ninja Master Prep, crush ice into snow in seconds, blend frozen fruits into creamy smoothies and chop fresh ingredients evenly. The interchangeable 400-Watt power pod quickly switches between the 48 oz. pitcher and 16 oz. bowl to allow for versatility in the kitchen. Once you are finished with your blending or chopping, use the convenient storage lids to keep your work fresh. Your product is warranted to be free from defects in the material and workmanship for a period of 30 days from the date of purchase when utilized for normal household use by the purchaser. Should a defect be encountered within 30 days, the defective part will be repaired or replaced as long as the item is returned to the warranty company.